If they uphold their reputation, this will be a real madness! Another shard of the colourful mosaic called Obscene Extreme! 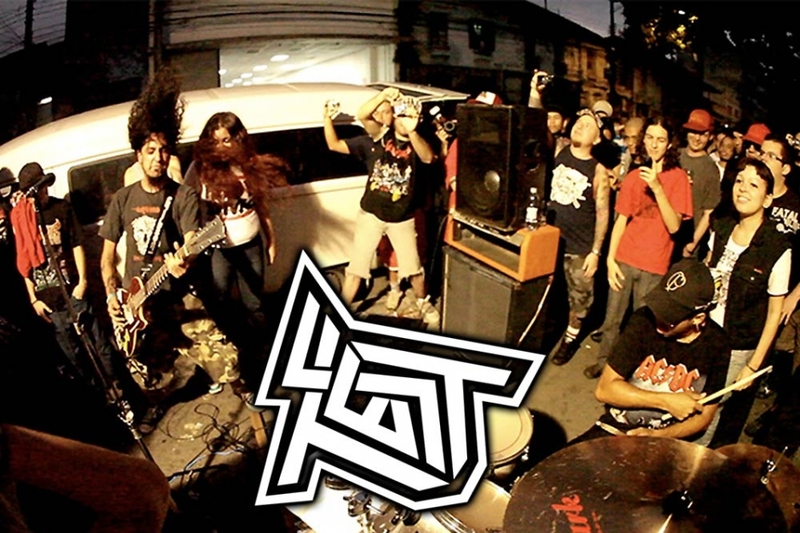 The grindcore duo of TEST from Brazil play everywhere and best where there is no stage!!! So, get ready besides the official shows and watch closely the whole venue of the Trutnov Battlefield because as soon as you hear petrol-operated generator and a suspicious scroop of a guitar be aware that another set of these two maniacs is about to start!!! Put simply, Test is one of the most original death/grind/black metal groups in recent times. Or they may be a dumb duo adamant on ignoring genre conventions and half-truths because of reasons, that’s why. All depends on whom you ask. What we know for sure is that the band started in 2010 in Brazil, with an unprecedented ‘business model’. It’s just two guys – João (vocal/guitar) and Barata (drums) – that sing in portuguese, but what really impressed people in the underground and blog scenes was their live shows. Initially, Test didn’t do venues. They would just drive to the place where some big metal band was playing, park their van in the front, set their gear in the sidewalk and start playing to the crowd in the queue. “It’s easier to play outside the venue than to set a show up, which mostly translates to no audience and no money”, says João. That m.o., which they still do today, got them a lot of attention. In 2012, the street shows became a festival, with eight bands. In 2014, City Hall capitalized on the idea, making the ‘Testival’ an official part of the Virada Cultural, a 24-hour culture and arts festival that happens in May in São Paulo. Thus far, Test has released five albums in its almost five-years existence, and is nearing 300 performances in the US, Europe, Mexico and Brazil. Aside from the show delivery system, the band has shared the stage with acts such as Brujeria, Exodus, Napalm Death and Ratos de Porão, to name a few. The band even achieved some cult status among those with cult status. Two metal icons, Max Cavalera (Cavalera Conspiracy) and Shane Embury (Napalm Death), have mentioned Test as the band to watch out for in interviews. For a band set out to defy traditions, it’s kinda fitting that they end up hailed by the old school pioneers.